Vitamin E is a powerful antioxidant that can help maintain a healthy heart and arteries, and well-being through the years. Unlike isolated vitamin E, True Food Vitamin E naturally provides mixed tocopherols, as well as vitamin E, in true food form. Proprietary mixture: d-alpha tocopherol with enzyme digested Saccharomyces cerevisiae (with soya); capsule: hydroxypropyl methylcellulose (carrageenan)*; d-alpha tocopheryl succinate, anti-caking agent: silicon dioxide; anti-caking agent: magnesium stearate*. Take 1-3 capsules a day, with or between meals, or as your health professional advises. Below are reviews of True Food Natural Vitamin E - 90 x 185iu Vegicaps by bodykind customers. If you have tried this product we'd love to hear what you think so please leave a review. Question about True Food Natural Vitamin E - 180 x 185iu Vegicaps Are the True Food supplements suitable for those with an intolerance to yeast? 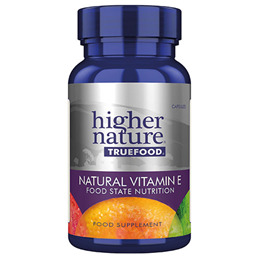 Question about True Food Natural Vitamin E - 180 x 185iu Vegicaps Are the nutrients in the True Food range synthetic? Question about True Food Natural Vitamin E - 90 x 185iu Vegicaps Are the True Food supplements suitable for those with an intolerance to yeast? 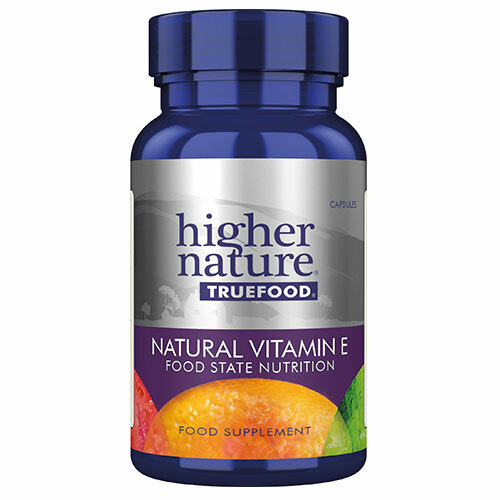 Question about True Food Natural Vitamin E - 90 x 185iu Vegicaps Are the nutrients in the True Food range synthetic?